In this study, the author constructs a systematic statistical framework for studying the environment and technology, the economy and society, and performs a series of analyses of the impact of human activities on the environment. The many topics analyzed include: energy consumption, resource use, water and air pollution, technology, recycling, and pollution prevention. 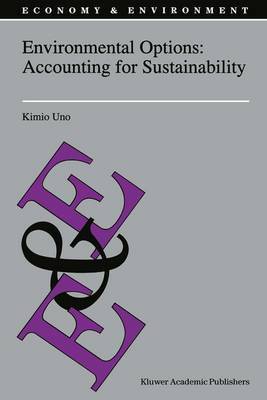 From the theoretical perspective, Environmental Options: Accounting for Sustainability provides not only a model at the global level, but also at the level of individual industries, and for various social groups. Of equal significance, the framework also allows international linkages to be examined. The proposed framework will serve as a common yardstick in formulating environment policy in both developed and less developed countries, setting the standard for further international cooperation.